Yesterday was a lazy day around the house for us. One of the boys has a stomach bug and the baby has a nasty cold, so we stayed inside and took it easy all day. After we had lunch and I got the twins down for their nap, I was checking the TV listings on my phone to see if there was something my 5 year old and I could watch. That is when I saw a listing for Eco Company. I had never heard of this show so I immediately turned it on to check it out. I had no idea what to expect but I was just excited that their was a show about the environment on and it said it was for kids. So the episode we turned on is following 2 stories: one is a teen on a quest to get 1 million trees planted across the United States and the other about two teens that reuse vintages clothes and accessories found at flea markets to make new fashions. It is really inspiring to see a younger generation so passionate about the environment. 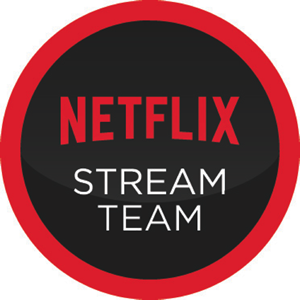 I realized that this is show about teens going green but I still enjoyed watching it and I think it would be good not just for teens but tweens as well. "A whole new generation has made the environment, climate change and going green their cause. Eco Company was created to chronicle the passions of this new generation and to answer their questions. 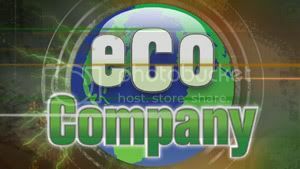 Eco Company is a national TV show hosted by a dynamic and diverse group of teens who combine their natural curiosity with their enthusiasm for preserving the planet they will inherit. Most of all, Eco Company profiles individual teens and organizations who are making a difference. These inspirational stories showcase teens who have made a commitment to being green and to having an impact on their schools, in their communities, in their homes and in their personal lives. Often their impact goes beyond their own communities. That is what Eco Company is all about. In addition, this website gives teens throughout the U.S. and around the world the opportunity to share their stories by uploading their own videos." This is also much more than just a TV Show. Teens from around the country can upload their own videos about how they are going green or how their schools are going green. Or even create a video with a green tip. It just a great way for teens everywhere to share green ideas with each other and inspire each other. Those videos are not only posted on the website but some even end up on the show! If you haven't check out Eco Company yet, I encourage you to find your local listings and give it a shot. If you happen to be a parent of a tween or teen who cares about the environment, let them know about this show and how they can get more involved. And if your young adult is not passionate about the environment, have them watch the show and hopefully it will open theirs eye and inspire them to make a difference. You can also follow Eco Company on Facebook and on Twitter at @Eco_Company. 4 teenage boys scares me. Wow this sounds like an amazing show! @Annie - Yes I agree with you 100%! Stop with the shows like "Teen Mom" and focus on shows that show kids and teens doing good. Makes me glad we don't have cable. we have WAY too many reality shows focused on the me, myself, and i syndrome...its about time that a show focuses on doing not only for others but for ourselves in the process in a positive way. 'kids' nowadays actually crave this and we, as adults, need to foster this and help them to help themselves (long after we are gone). so a hardy thank you to the producers!